Prof Nils Chr. 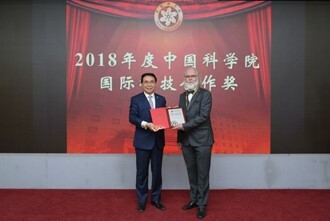 Stenseth was awarded the International Cooperation Award at the Chinese Academy of Sciences (CAS) presenting by CAS President, Bai Chunli in Dec 2018. 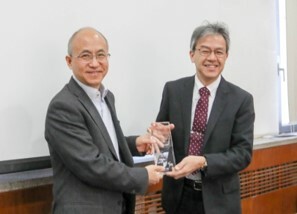 Prof Hiroyuki Takeda, President, IUBS receiving the ISZS Recognition of Institutional Membership Excellence Award on behalf of the Zoological Society of Japan presented by Zhang Yaping, Vice President, Chinese Academy of Sciences, 30 Oct 2018, Beijing China. 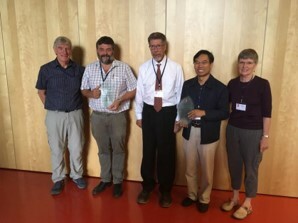 The BCGC programme of IUBS celebrated its 10th anniversary during the 10th International Symposium on Integrative Zoology (ISIZ) with the 2018 World Life Science Conference (2018 WLSC) that was held on 27-31 October 2018 in the Institute of Zoology (IOZ), Chinese Academy of Sciences, Beijing, China. 150 particpants attended the symposium. 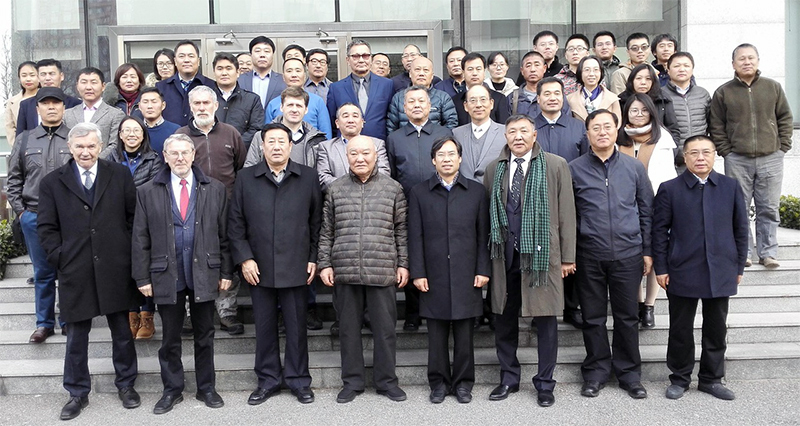 Prof Zhibin Zhang chairing the 2018 Annual Meeting of the International Alliance of Protected Areas,13 Sept 2018, Changbaishan, China. The Exhibition on Coordination Man and Biosphere to Protect Life Community took place at Beijing, China on 30th and 31st July 2018. 400 participants attended the exhibition. The 3rd Training Course on Wildlife Monitoring and Camera Trapping was conducted at Xishuangbanna in China on 22nd to 29th April 2018. 150 participants attended the course. The International Symposium on China-Mongolia Cross-border Wildlife Conservation and Management (ISCCWCM) took place in Beijing, China, from 20th to 21st November 2017. BCGC co-organized the 9th ISIZ in Xining, Qinghai province, China on 27-31 August 2017. BCGC co-organized the 9th ISIZ. Tha training course on bioinformatics and data analysis took place in Xining, China, with 60 participants on 30 and 31 August 2017. The Workshop on Forest Invasive Species in Shanxi, China, with 30 participants has been conduced on 13 May 2017. 8th International Symposium of Integrative Zoology (ISIZ), 25-29 July 2016, Xilinhaote, Inner Mongolia, China. Over 100 scientists attended. Three international symposia on BCGC during the 22nd International Congress of Zoology (ICZ), 14-19 November 2016, Okinawa, Japan. Over 1,100 participants from 31 countries and regions attended. They were organized within the BCGC programme of IUBS. International training course at the “Research Station of Animal Ecology on Grassland” in Xilinhaote, Inner Mogolia, 29 July to 6 August 2016. Over 20 scientists and students from Germany, Russia, Democratic Republic of the Congo and China attended. The course included lectures, discussions, specimen collection in the fields, classification and analysis of the collected specimen. The workshop was organized within the BCGC programme of IUBS. The International training course on invasive species 26-28 October 2016 in Hainan, China. Over 50 people from Viet Nam, Laos, Cambodia, Thailand, Myanmar, Malaysia, Indonesia, Fuji, Samoa, India, Sri Lanka, Pakistan, Nigeria, Japan and China attended. The workshop was organized within the BCGC programme of IUBS. Cooperative Studies for PSHB (Polyphagous Shot Hole Borer), 13–19 April 2015, Kunming, China and Lao Cai, northern Viet Nam. The 7th ISIZ : International Workshop on BCGC, Wildlife monitoring under global change, 25-28 August 2015, Xi’an, China. Over 160 scientists and researchers from 16 countries attended. International Conference on Ecosystems under Current Social and Economic, 8-10 September 2015, Ulaanbaatar, Mongolia. 200 international scientists attended. PCLIM, International research network about the adaptive response of processionary moths and their associated organisms to climate change, meeting, 16 December 2014, INRA, Paris, France. Workshop on plague ecology and climate change was held on 25 November 2014. The 5th International Conference on Rodent Biology and Management (ICRBM), 25-29 August 2014, Zhengzhou, China, also supported by an IUBS young scientists grant. BCGC held a Workshop at the Grassland Ecosystem Research Base of IOZ, CAS, 29–30th June 2013, Xilinhot, Inner Mongolia, China with 23 attendees from 6 countries. 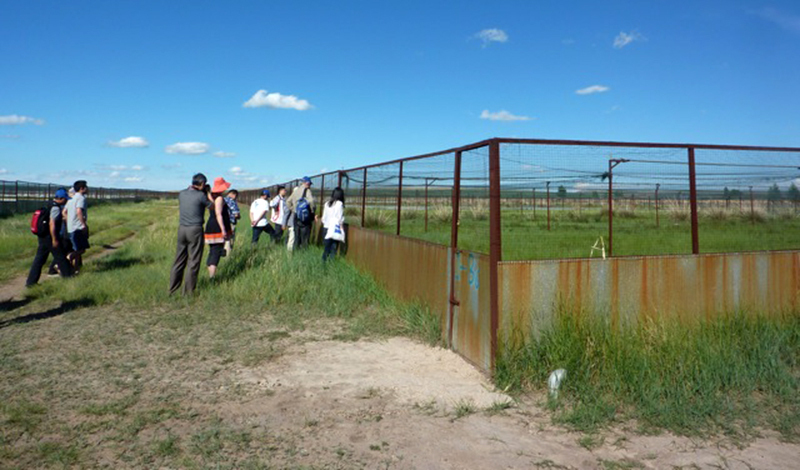 In 2008, in order to study Biological Consequences of Global Change, IOZ of CAS set up a grassland ecosystem research base in Xilingol, Inner Mongolia. The major scientific research involves climate change and human activities. By using artificial precipitation, cattle grazing, the research has a focus on population and community dynamics. The aim of the research is provide theory foundation for ecological management in grasslands by solving controversial scientific questions: fluctuation of rodents populations, special mating system, community succession in plants and soil animals. During the workshop, the attendees exchanged ideas and had a hand-on experience with on-site information. 4th International Training Course on Integrative Zoology: Frontiers in Animal Ecology and Conservation Biology, 23 November – 1 December 2014, at the Institute of Zoology, Chinese Academy of Sciences, Beijing, China. 120 trainees from 21 countries attended. The 21st International Congress of Zoology (ICZ), 2-7 September 2012, the University of Haifa, Israel. International Training Course on New Trends and Methodology on Animal Ecology and Conservation Biology, 2011. Wildlife Services, Animal and Plant Health Inspection Service, United States Department of Agriculture (USDA). The 4th International Symposium of Integrative Zoology; Kunming, China, 4 to 6 December 2010. Workshop BCGC data sharing and research tools, 2010.